Things are Fresher than ever in Penang as Cold Storage and HappyFresh launch the northern region’s first home delivery service of fresh food and groceries today. 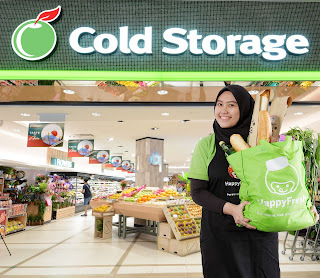 Marking HappyFresh’s Third Anniversary, the expansion of services into Penang is part of the brand’s expansion plans in Malaysia, and an extension of its existing relationship with GCH Retail (Malaysia) Sdn Bhd the operator of Cold Storage in Malaysia. So, come and join to get a great offer from HappyFresh.